Do you want to build your confidence and self esteem? Do you want to regain your energy that you may have lost due to past events? Do you want to achieve a life filled with total power from within you and not from outside stimulus? If you have answered yes to any of these questions, then we need to talk. Life Coaching: Life/personal development Coach Lionel helps people with 6 key important areas in their life such as financial, health and wellness, professional, emotional, relationships and spiritual by aligning yourself with whom you are and what you want to achieve in the present. Lionel has a special ability to build leaders, happiness, and deep, lasting satisfaction in life. Additionally, he is acclaimed for his work as a life coach working with individuals in designing and living extraordinary lives. Develop an action plan to achieve your goals and dreams. Get over old patterns and reprogram your mind. Live your life full of meaning and achievement. Balance – Achieve now a better balance in all areas of your life. Body – Achieve now improvements in the areas of health, wellness, weight loss and fitness. 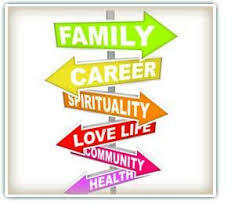 Career – Achieve now transitions, development, career fulfillment in your life. Communication – Achieve now better communication in workplace, family and friends. Emotional – Achieve now happiness, self-love, trust and self – centered. Relationships – Achieve now a better understanding in all areas of relationships. Spiritual – Achieve now a better Inner Harmony, connected with your soul. “ All power is from within, and is absolutely under your control; it comes through exact knowledge and by the voluntary exercises of exact principles”. All coaching sessions are done over the phone and email follow ups, for an easy and comforting experience. The attitude of mind necessarily depends upon what we think. Therefore the secret of all power, all achievement and all possession depends upon our method of thinking. This is true because we must “be” before we can “do”, and we can “do” only to the extent which we “are”, and what we “are” depends upon what we “think”. My mission is to help as many people transform their lives, to provide you with tools and information that will enable you to gain knowledge and proper application. If you want to connect with me and schedule a Session or Just know more about coaching, just fill the box below and send.